If you sleep on your side, welcome to the club. You may be surprised to know that the vast majority of us sleep on our sides exclusively. Also, many more of us spend at least part of the night on our sides in combination with another position. So that adds up to a huge number of people sleeping on their backs night after night. While sleeping on your side is not a bad position to adopt at night, it can put extra pressure on some of your joints. This is particularly noticeable at the shoulders and hips. However, changing your sleeping position can be extremely difficult, especially if you’ve been nodding off in the same position for many years. So, it’s especially important to choose the right mattress for side sleepers to reduce pressure on your joints and ensure you get a comfy and peaceful night’s sleep. With so much choice available, it can be difficult to know which would suit your sleeping position best. Which firmness should you go for? Is it worth considering a memory foam or latex mattress? These questions can seem daunting if you’re new to mattress buying. However, at Sleep Reports we are leading experts in the best mattresses for every sleeping position. So, we’ve created a handy buyer’s guide to take you through the buying process step-by-step. Once you understand the fundamental elements of choosing a mattress for side sleepers, you can check out our top mattress picks for plenty of inspiration. So, read on for absolutely everything you need to know about the best mattresses for side sleepers. 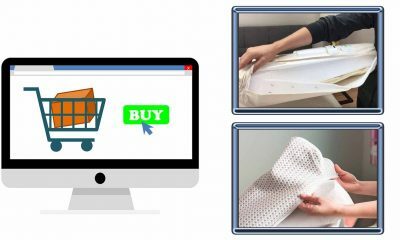 Shopping for a mattress in a hurry? Then check out the Nectar Mattress. Not only is this mattress the perfect firmness for side sleepers, it also reduces pressure and soreness in your hips and shoulders. That’s why we recommend it as our top pick for side sleepers. 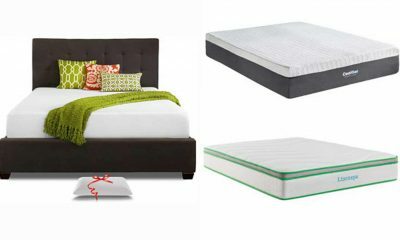 Here are the latest reviews of the 6 best mattresses for people with side sleepers. Nectar is a mattress manufacturer that have made a major name for themselves in the industry. This is because they make most comfortable bed mattresses that are of optimum quality and provide an excellent level of comfort for the sleeper. Luckily, their mattresses are particularly suitable if you happen to sleep n your side most often. The mattress has the ideal medium firmness to allow your body to sink in comfortably, reducing pressure on your hips and shoulders. Therefore, it helps to solve the main issues that come with side sleeping. Also, the memory foam that this mattress is made from is infused with gel. This helps to provide superior support and also makes the mattress more temperature neutral. Therefore, this is a great option if you want a memory foam mattress but are concerned about the heat retention that traditionally comes alongside these mattresses. So, why do the sleep reports experts love this mattress so much? 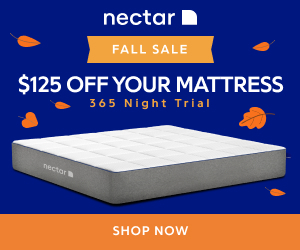 Read on to discover why the Nectar Mattress is such a great purchase. Heat control: Nectar have sought to solve the problem of overheating that is such an issue with standard memory foam. This has been achieved in two clever and innovative ways. 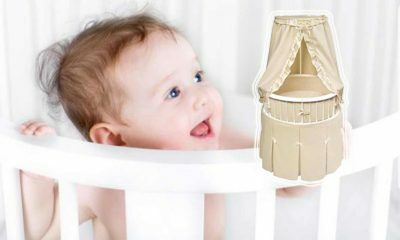 First, there is a soft and comfortable cover made of breathable Tencel, which helps to wick away heat during the night. Also, the top layer of memory foam contains an infusion of gel. This also promotes extra breathability and allows heat to escape during the night. Therefore, this mattress is an ideal option if you find yourself disturbed by overheating during the night. For those that live in hot or humid climates, this can also provide welcome relief. Certi-Pur certified: The process of certification for the Certi-Pur award is extremely thorough and highly rigorous. In particular, the product is checked to ensure that it hasn’t been manufactured using any chemicals that could cause potential harm to your health. Also, this ensures that no unhealthy, harmful or toxic substances are released into the air to be breathed in while you sleep. As the health problems that such toxins can cause is significant, this is a major positive in favour of the Nectar Mattress. This gives you great peace of mind that the Nectar Mattress will have no adverse effects on your health while you snooze. 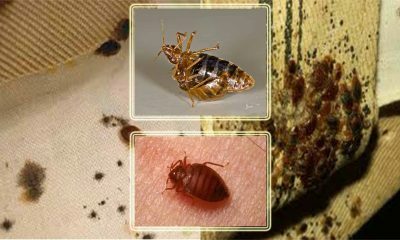 Dust mite and pest resistant: Unfortunately, bedding pests such as dust mites or bed bugs can be a real problem in many mattresses. This can cause adverse reactions in sleepers and can threaten the integrity of the mattress. However, this should not pose a problem if you choose the Nectar mattress. That’s because the mattress is specially designed to resist infestation by common bedding pests. Therefore, you can sleep easy without worrying about the presence of any night-time nasties in your bed. Supportive and contouring abilities: The Nectar Mattress is made with memory foam that is specially infused with gel. 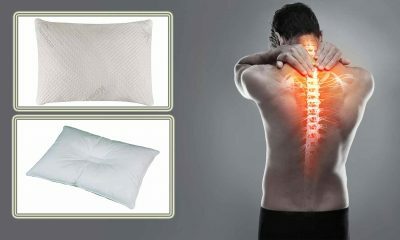 This helps to provide extra breathability and support while you sleep, helping to relieve night-time aches and pains. Also, this allows the mattress to perfectly contour to the unique curves and contours of your body. This helps to relieve pressure on your joints. Therefore, this bed is extremely suitable for side sleepers because it helps to relieve pressure on the hips and shoulders which can be a problem in this position. 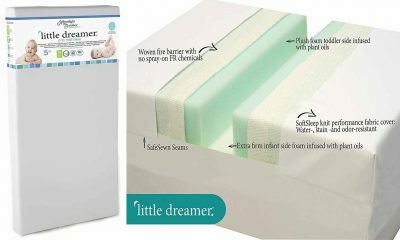 This mattress is a fantastic option if you are looking for a gel-infused mattress for side sleepers. This awesome mattress combines excellent quality with a price tag that is affordable and provides great value for money. The Perfect Cloud mattress is specifically designed to give you a weightless sensation when you lie on it. This helps to reduce pressure on our joints and gives you a more comfortable night’s sleep. Also, this mattress is ideal whatever position you adopt at night. Therefore, if you sleep on your side and your partner doesn’t, this should suit both of your needs well. 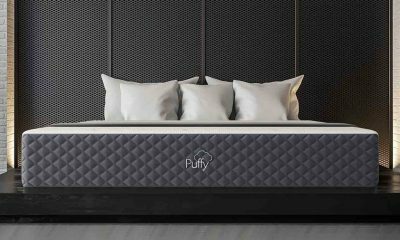 Furthermore, this mattress has achieved the prestigious Certi-Pur certification, guaranteeing that it won’t release any harmful toxins into your sleeping environment. So, it’s easy to understand why the Perfect Cloud mattress has taken the bedding world by storm. 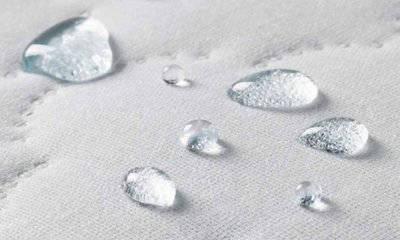 Read on for everything you need to know about the Perfect Cloud mattress. 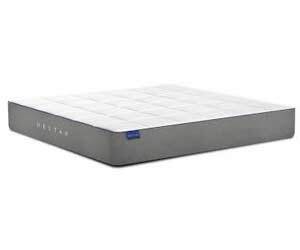 Excellent breathability: The lower layer of the Perfect Cloud mattress provides the ideal level of support to keep you ache and pain free while you slumber. However, this layer has been ingeniously designed to serve more than one purpose. The Double Air Flow Comfort Foam the lower layer is constructed from increases air flow while you sleep. Therefore, it is specifically designed to increase breathability, allowing heat to escape during the night. Therefore, this helps you to keep cool and comfortable, as the mattress is able to remain at a neutral temperature throughout the night. 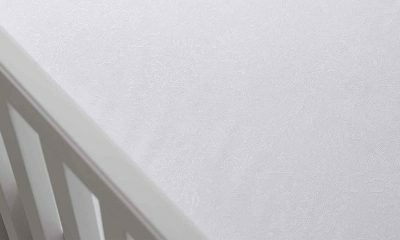 Certi-Pur Guaranteed: The rigorous Certi-Pur certification gives you the peace of mind that this product is manufactured without the use of potentially damaging chemicals. Unfortunately, toxins breathed in from bedding can be harmful to your health, so this is extremely reassuring. Also, this can also have a negative impact on the planet. So, this is an environmentally responsible choice as well. Adaptable to your shape: Because it is infused with gel, the memory foam top layer is able to contour to your individual form very well. Therefore, this reduces pressure on your joints. Therefore, this makes it a very suitable choice for side sleepers, as pressure can build up in the hips or shoulders in this position. Also, this helps to provide a superior level of comfort. 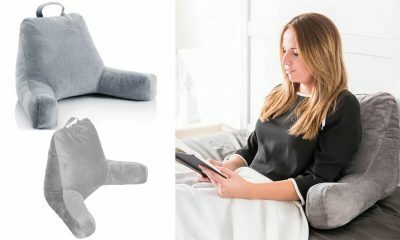 Most people who sleep on their sides should find this feature provides them with a great night’s sleep. However, it is especially ideal for those who suffer from joint or back pain as it can help to alleviate their discomfort. The Shiloh Mattress is the creation of renowned mattress manufacturer Sleep Innovations. Sleep Innovations have a fantastic reputation in the Mattress industry, and for very good reason. This excellent mattress is made from high-quality memory foam and is an outstanding choice for side sleepers. It is also made from very environmentally materials, making it a responsible and eco-friendly choice. Furthermore, the mattress is manufactured in the USA. You can also choose between a quilted or a smooth cover depending on your personal sleeping preferences. So, is the Shiloh mattress the best choice for you? Read o. to find out! Supportive and contouring: The material the Shiloh mattress is made from provides an excellent level of support. This helps to guide your spine into an ideal alignment, reducing and relieving back pain. Furthermore, the memory foam of the top layer can contour to the specific shape of your individual body. This cradles your joints, relieving pressure and helping to reduce pain and discomfort. Therefore, this mattress is a great choice if you experience back or joint pain. Antimicrobial and pest resistant: This mattress is a particularly hygienic option. This is because the materials it is made from resist microbial growth. Therefore, it is better for your health and can help to guard against the growth of harmful bacteria and other nasties on your mattress. 12 inches thick: This thickness makes this mattress adequate to support the sleep needs of most people. It should also be suitable for heavier sleepers, whilst allowing lighter people the right level of comfort. Therefore, this mattress is suitable for most individual and body types. 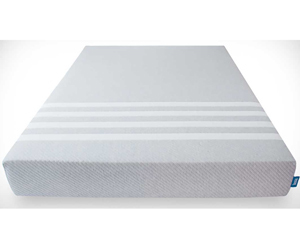 This is another awesome memory foam option that is perfectly suited to side sleepers. Made by the well-respected mattress company Leesa, you can be sure that you are purchasing a high-quality product that’s worth the price. This is an ideal product for those that sleep hot as it is made with a layer of cooling Avena foam. Also, it includes adaptable memory foam to reduce pressure and perfectly cradles your individual shape. This provides an excellent feeling of comfort. This product can be bought up to a King size and is 10-inches in thickness. With a generous sleep trial and warranty, this also gives you the option to try before you commit fully. So, why do we love the Leesa mattress so much? Read on to find out! Adaptable: The Leesa mattress has a supportive base layer of high-density foam. This aids your spine into a healthy alignment, potentially providing relief for back pain at night. At the top, there is an adaptable memory foam layer that can adapt to your unique body shape. This is an excellent feature as it helps to relieve joint pressure and soothes sore or aching joints. Breathable and bouncy: This mattress boasts a layer of highly breathable Avena foam. This facilitates better air flow, which helps heat to escape during the night. Therefore, this can help to keep the mattress at a neutral temperature while you sleep. Therefore, this mattress is a great option if you tend to sleep hot. It also gives a more familiar ‘bouncy’ feeling if you are used to the sensation of sleeping on a spring mattress. Reduced motion transfer: Because this mattress has a little more bounce and give, it reduces motion transfer from one side of the bed to the other. Therefore, you should be far less aware of your partner’s movements during the night. This can significantly improve your sleep quality and reduce disturbance during the night. Unusually, the Zinus mattress is manufactured with a natural infusion of green tea. This is a completely natural and healthy antioxidant. Therefore, it helps to keep the foam of the mattress fresh and healthy for long periods of time. This can also help to prevent the triggering of dust allergies. Like other memory foam mattresses, the Zinus mattress can conform to your body shape. 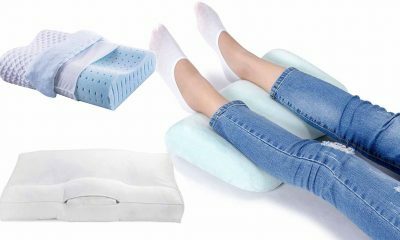 This makes it an ideal option for side sleepers as it can help to reduce pressure on your joints. Even better, the mattress comes with the extremely prestigious Certi-Pur certification, so you can be sure that your bedding won’t emit any harmful chemicals as you sleep. So, is the Zinus mattress the best choice for you? Read on for our in-depth review. 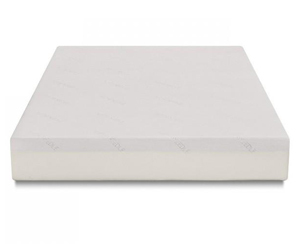 Adaptable: This awesome Zinus mattress is made of high-quality memory foam. This allows the mattress to adapt to the unique curves of your body. Therefore, it’s ideal for side sleepers. This is because the mattress can cradle your joints, in particular reducing pressure around the hips and shoulders. Therefore, this helps to counteract some of the classic issues that come with side sleeping. Certi-Pur certified: The rigorous Certi-Pur certification gives you excellent peace of mind that the product is not manufactured with potentially toxic or harmful substances. Because many types of mattress can emit harmful chemicals that can harm your health as you sleep, this is a big bonus. Also, this makes the mattress more environmentally friendly to boot. Breathable: This mattress includes layers of Airflow foam. This foam is specially designed to allow maximum and optimal airflow throughout the body of the mattress. Therefore, this superior air flow helps heat to dissipate during the course of the night. Therefore, this is a major positive if you frequently find yourself sleeping hot or live in a warm or humid climate. 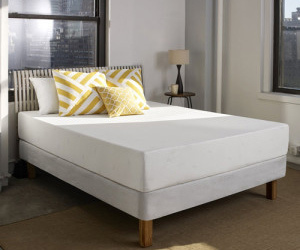 Tuft and Needle are a renowned mattress manufacturer on a mission to produce extremely high-quality mattresses that provide a great level of comfort and support. Also, they use cutting-edge sleep science to inform their modern and innovative mattresses. 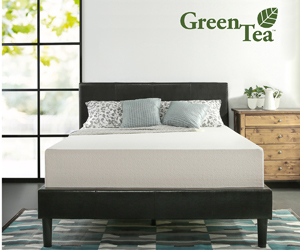 In this great mattress, they have included infusions of both gel and graphite to help control sleeping temperature and provide excellent comfort and support. 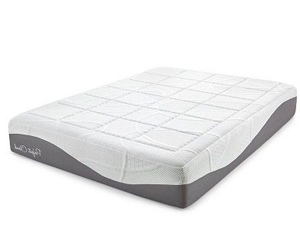 Furthermore, this mattress is specially designed to provide a great level of pressure relief for the joints, which can help to alleviate aches and pains during the night. Therefore, those who frequently wake up sore and uncomfortable should give this mattress their serious consideration. So, why do the experts think so highly of this mattress? 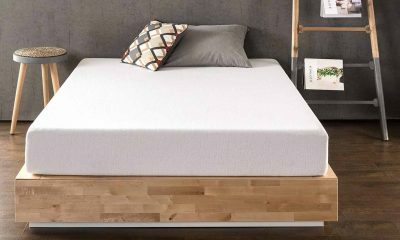 Here’s our in-depth review of the Tuft and Needle Mattress, with everything you need to know about the key features of this great bed. Excellent contouring: The memory foam upper layer of this mattress can mold to your unique body contours minus the feeling of ‘getting lost’ in your bedding. Also, it has a more recognisable bouncing sensation than is usually expected from standard memory foam model. This is great for pressure reduction and can help to alleviate the joint soreness that many people experience at night and in the morning. 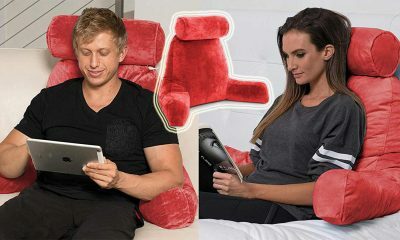 So, this makes it a great option to reduce the hip and shoulder pain often experienced by side sleepers. Temperature neutral: This great mattress has two major weapons in its arsenal when it comes to keeping you cool at night. These are the infusions of both gel and graphite, which help to release heat during the night. This means that body heat should not accumulate within the body of the mattress while you sleep. Therefore, this is a great option if you often find yourself overheating during the night, because overheating can seriously disrupt your comfort and sleep-quality. Also, if you reside in a hot area, this can also be a major boon. Certi-Pur and GREENGUARD certified: These rigorous and desirable certifications certify that the product has undergone an exhaustive and thorough testing process. They give you excellent peace of mind that the mattress is manufactured without the use of chemicals that could potentially harm your health or that of your family. Also, you can be sure that it won’t emit any toxic gases while you sleep. As these substances could significantly damage your health, this reassures you that your bedding is safe and healthy. Later in the article, we’ll look in much greater detail at the most important elements of a great mattress for side sleepers. However, the best place to start is by asking yourself some key questions about your mattress needs. These will help inform you about the best mattresses to seek out. So, before you start looking at any particular makes or models, start by asking yourself these important questions. Do I Suffer From Back or Joint Pain? For side sleepers, pain caused or exacerbated by a mattress is usually felt in the hips or shoulders. That’s because this position puts particular strain on these parts of your body. It’s easy to tell if your back or joint pain is being worsened or even caused by your mattress. If you find that your discomfort is worst during the night and immediately upon waking, then eases once you get up, this is a major red flag. Also, if your mattress is sagging, lumpy, or older than eight years, it’s unlikely to be giving you the support you need. 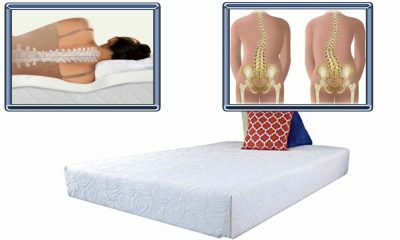 If you suffer from joint pain, then a mattress that can conform to the shape of your body is ideal. This helps to cradle sensitive joints and can reduce pressure. Memory or latex foam mattresses are very good for this type of pain. This can also help to encourage your spine into a healthier alignment, which can also help with your back pain. Will I Be Sharing The Mattress? If you share the bed with a partner, chances are you will want a mattress that reduces motion transfer. Motion transfer refers to the disturbance you feel on your side of the mattress when your partner shifts position during the night. This can quickly become a major annoyance if one or both of you are very active or restless sleepers. So, it’s important to choose a mattress that reduces this issue as much as possible. All types of foam mattresses and those with pocket springs are good for reducing motion transfer. 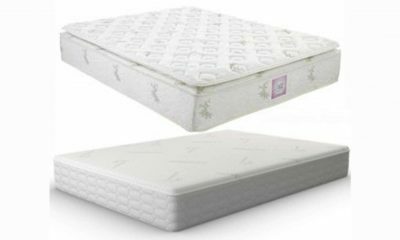 However, other types of coil mattress without individual springs transfer weight from one side to the other, so they aren’t such a great choice. If you have a bed base that you want to continue using, you will need to purchase a mattress of the same size. 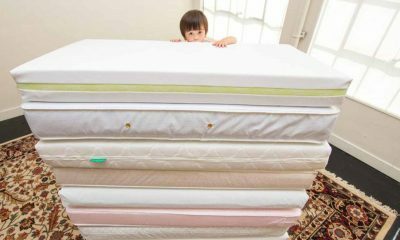 If you’re open-minded when it comes to mattress size, there are a few things you need to consider. First, you need to decide how much space you need to sleep comfortably, especially if you are sharing the bed. Also, you will need to consider your height, weight and body size. Finally, you will need to bear in mind the size of your room. Queen size beds or larger can leave you with extremely limited floor space and look out of place in a small bedroom. On the other hand, a small bed in a very large bedroom can make the room look out of proportion. If you tend to sleep hot, this can seriously affect the quality of your sleep. Therefore, it’s important to pick a mattress that helps to maintain a neutral temperature during the night. So, you’ll want to look for a mattress that’s breathable so that heat can wick away during the night. Spring mattresses or memory foams infused with gel, latex or charcoal are particularly suitable for this purpose. Many people believe that they need to spend a lot to get the best mattress. However, this is not necessarily the case. While it’s worth spending a little more if you can afford it for a premium product with very modern features, it’s more than possible to pick up a great mattress for side sleepers on a budget. So, it’s a good idea to work out what you can afford and then focus on finding the best possible mattress for your budget. What Makes A Mattress Great For Side Sleepers? The truth is, there are many different mattress types that may suit side sleepers. So, this isn’t a matter of one-size-fits-all. As everybody’s body and sleeping needs are unique, you will need to choose according to your personal requirements. However, there are some universal points to look out for when choosing the very best mattress for side sleepers. Here are the key ingredients to keep an eye out for. At the end of the day, if you don’t feel comfortable then you won’t get a good night’s sleep. Therefore, it’s extremely important to find a mattress that suits your own personal sense of comfort. After all, you will hopefully be using the mattress for many years. So, it’s vital that you pick a mattress that feels comfy and cosy to sleep on. When you sleep on your side, this can put extra pressure on your joints, especially at the hip and shoulder. Therefore, it’s a good idea to select a mattress that is medium-soft to medium in firmness. This will give you adequate support while allowing your body to sink comfortably into the mattress, reducing pressure. As we mentioned earlier, sleeping on your side can put more pressure on your joints. Over time, this can cause aches and pains and worsen discomfort from any existing conditions. So, it’s a great idea to find a mattress that can conform to the shape of your body. This can help ease pressure on sore joints and reduce pain. Therefore, memory or latex foam options are ideal, as they are designed to adapt to your body shape. However, a spring mattress can also be suitable if it can conform to your shape adequately. Pocket springs are best for this purpose and you should check the adaptability of a mattress before you buy. Mattresses with good edge support are particularly important for side sleepers. This is because side sleepers tend to sleep closer to the edge of the mattress. A mattress with good edge support with have sturdy and reinforced edges that allow the mattress to withstand this type of use. Furthermore, this makes the mattress more durable and gives it a longer life. Therefore, edge support is an important feature to look out for no matter what position you sleep in. 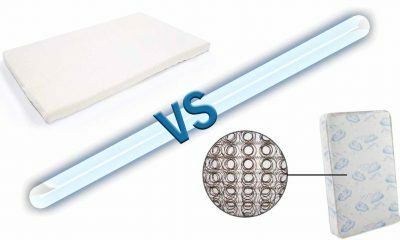 Which Mattress Material is Best For Side Sleepers? Nowadays, there are a huge range of materials to choose from when it comes to mattresses. This can seem very confusing, especially if you’ve stuck to one type of mattress your whole life. So, which mattress types are the best for side sleepers? Read on for our quick and handy guide. Memory foam is an ideal choice for side sleepers. This is because the material can adapt to your body shape, reducing pressure on your joints. Therefore, memory foam is an option you should definitely consider. However, traditional memory foam does tend to sleep hot. If this is an issue for you, one of the following options may be a better choice for you. Gel-infused memory foam is a relatively modern invention which addresses the sleeping hot issue. 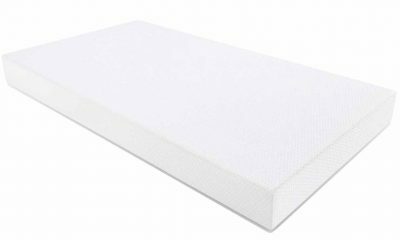 Gel memory foam can adapt to your shape and provides a great level of support, making it ideal for side sleepers. Also, it can help to wick away body heat more effectively. Therefore, this may be a great option if you tend to sleep hot. Latex mattresses have become very popular recently and are another great option for side sleepers. Latex foam is supportive, breathable and can conform to your body shape. Also, it is a natural product, so it can be a great choice both for your health and the environment. Spring mattresses are the most commonly used mattress type. 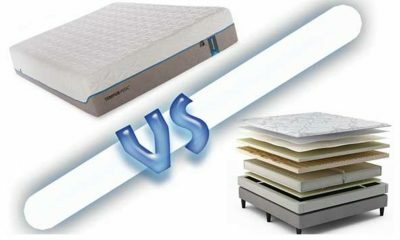 In general spring mattresses are not such an ideal choice for side sleepers. However, if you don’t like the ‘sinking in’ sensation of memory foam or are simply used to the feel of a spring mattress, they can still be a great choice if you pick the right one. Pocket sprung mattresses are the best choice as they provide a great level of support and many are designed to conform to your body shape. They are also very breathable and limit motion transfer, which are major positives whatever position you sleep in. These can also be a good choice for certain people. They combine two mattress types, usually pocket springs and a memory foam, gel foam or latex outer layer. This can give you the best of both worlds between the conformity of foam and the support and breathability of springs. Also, this can be ideal if you want the benefits of memory foam with the familiar ‘bounce’ of a spring mattress. 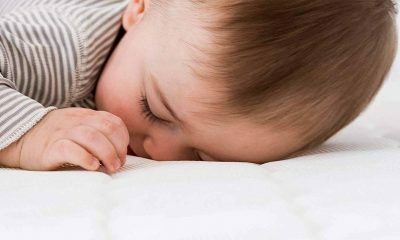 At Sleep Reports, we are often asked questions about choosing the best mattress for side sleepers. This is no surprise, as choosing the best mattress for your sleeping position can be very confusing. So, here are our most frequently asked questions along with our expert answers. Is sleeping on your side good for you? Sleeping on your side isn’t a bad option, as it allows you to breathe freely and provides reasonable support to your spine. However, it can also put excess pressure on your joints, especially your hips and shoulders. However, this can be combated by choosing the correct mattress for your sleeping style. There is no miracle answer to this question. 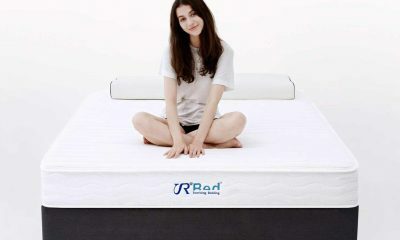 If a mattress is supportive, medium firm and can adapt to your body shape, it should be suitable. In general, materials like memory foam and latex are ideal as they adapt to your body shape. However, some people don’t like the feeling of these materials. Alternatively, a pocket spring mattress may be a good option. Should I try to sleep on my back? If you choose a mattress to suit your needs, there is no reason to change your sleeping position unless it is causing you problems. However, sleeping on your back can help to ease back pain in some cases. If you feel switching to back sleeping may help you, you can check out our guide to sleeping on your back. Are any mattresses bad for side sleepers? While many mattresses are great for side sleepers, there are some that won’t be suitable. A mattress that’s too firm is not a great option because it will put too much pressure on your joints. Also, any mattress with inadequate edge support will not be durable enough if you sleep close to the edge of the bed. Should side sleepers use a mattress topper? If you buy a memory foam, latex or gel mattress, a mattress topper will be unnecessary as they will interfere with the conformity of the mattress. However, if you can’t afford a whole new mattress or want a spring mattress, a memory foam topper may be a great option as it can help relieve pressure on your joints. Should side sleepers choose memory foam? Memory foam is an ideal choice for many side sleepers because it can conform to the unique shape of your body. This can help relieve the pressure on your hips and shoulders that is so common with side sleeping. However, some people don’t like the sensation of sleeping on memory foam or find it too hot. If this is the case for you, you could opt for gel or latex foam or plump for a hybrid mattress. I suffer from back pain and sleep on my side. Should I choose a firm mattress? You may have heard that a firm mattress is the best option for back pain. However, this rule does not apply to side sleepers. If you suffer from back pain and sleep on your side, a firm mattress could actually make your problems worse. To reduce pressure on the joints, you need to be able to sink into the mattress a little. Therefore, a medium firmness is actually best if you sleep on your side. Hopefully, now you’ve read our handy buyer’s guide, you know all the important information you need to choose the very best mattress for side sleepers. As long as you opt for a mattress that is not too firm and can contour to your body shape while giving you adequate support, you’re well on your way to choosing a great mattress for your needs. However, remember to take your individual sleeping needs into consideration. If you sleep hot, suffer from bedding allergies or are especially tall or heavy for example, this will all need to be taken into consideration when choosing a mattress. Just like any other purchase, it’s a great idea to check out expert reviews like the ones on Sleep Reports before committing to a particular brand or type of mattress. After all your new mattress is an important investment that will hopefully provide you with many nights of comfortable sleep. Sweet dreams!